If you have been looking for a classically-styled full-grain leather gauntlet glove, look no further. Roland Sands has thrown down the gauntlet (literally) with this new full-cuff, vintage-inspired riding glove that will pair perfectly with his range of classic leather moto jackets. 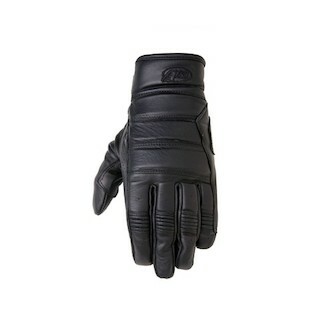 Loaded with all those necessary moto-centric features like pre-curved fingers, elasticated stretch panels, padded knuckles, a reinforced palm and durable top grain cowhide, this glove is sure to perform as well as it looks. So hop on your classic cafe or vintage v-twin and let the Roland Sands Judge lay down the law on that throttle. Now for all those Evel Knievel fans out there, Roland Sands makes the jump with the classic MX inspired Peristyle glove that will be sure to make you weep tears of two stroke oil. Adorned with diamond stitched leather padded knuckles, breathable stretched knit back, top grain leather reinforced palm and the essential knit cuff with ‘Merican stars this glove is to ready grip throttle and pop wheelies. Whether you get the Roland Sands Peristyle Gloves in Black, Brown or the the colors that never run, Red White and Blue, this glove is the perfect accessory for those looking to hit the dirt in style. BRRAAPP BRRAAPP! Finally! 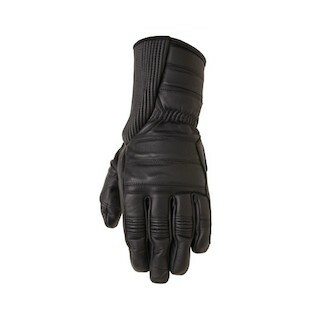 A glove that shares the classic looks (as well as the name) of Roland Sands’ popular Ronin Jacket. Available in all of the classic Ronin colors, Black, Tobacco and Oxblood, these have all the necessary motocentric features including top grain cowhide construction, flex ribbed/padded knuckles, reinforced and padded palm and a pre-curved ergonomic fit. The Roland Sands Ronin Gloves have everything you need to keep your hands safe while eating up the asphalt on your vintage v-twin or classic cafe racer and most importantly match that sweet sweet Ronin jacket you already have!